What makes the Cienega Watershed so special? The Cienega Watershed runs from Saguaro National Park and the Rincon Wilderness south to the Canelo Hills south of Sonoita, and from the crown of the Santa Rita Mountains east to the crown of the Whetstone Mountains. The watershed has relatively intact ecosystems even though its rich habitats are stressed increasingly by human, climate, and other environmental change. In the last twenty years within the watershed, great opportunities for collaboration have built a trust among partners and a common vision that we want to move forward in sustaining this critical area. The Cienega Watershed Partnership works to ensure the continuation of collaboration as part sustaining the watershed systems. CWP and 29 of our partners received the 2013 Department of the Interior Partners in Conservation Award in Washington, D.C. The Cienega Watershed is considered a shallow groundwater-dependent ecosystem. Hydrologically, the watershed contains critical water components including Cienega Creek, Davidson Canyon, Empire Gulch, and Gardner Canyon, all important riparian and restoration areas and important to maintaining a functioning system. Cienega Creek is noted for a high level of restored biodiversity and the presence of high quality, perennial streamflow, increasingly rare in the Southwest. Water levels in the Cienega Creek streambed range from depths of four to 51 feet below land surface, accessible to roots of riparian trees such as cottonwood, willow, ash, and mesquite. Cienega Creek contributes significantly to the aquifer under Tucson. The surface water flows north then west into the Pantano watercourse in Vail, which then joins the Rillito, and then merges with the Santa Cruz River in northern Tucson. Under Arizona’s surface water quality standards, Cienega Creek and Davidson Canyon, as Outstanding Waters, are afforded the highest level of water quality protection. 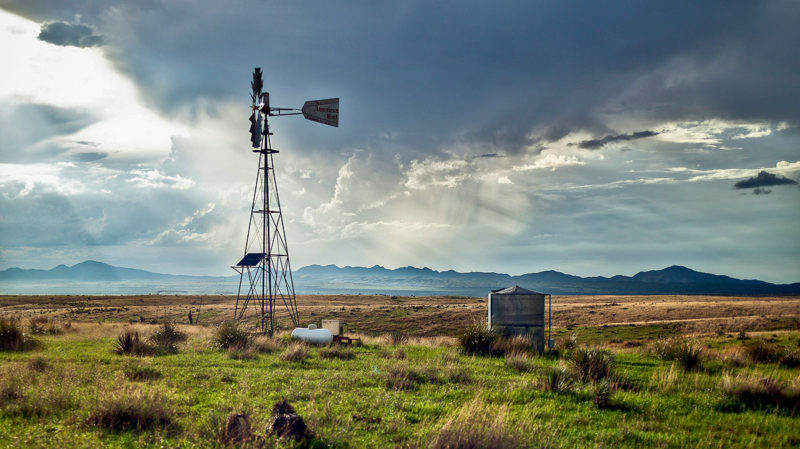 It is increasingly evident that there is not sufficient water to support current patterns of development and extractive land use without detrimental impact to the local ecology. Learn more about protecting shallow groundwater in the Cienega Watershed. View science resources for water, wildlife, and plants at Las Cienegas National Conservation Area. View Pima Association of Governments Cienega Creek resources, including a 3D look at Marsh Station and annual flow reports. In the last hundred years, most of Arizona’s low-elevation riparian habitats have been extinguished or compromised by human activity, coupled by drought and climate change. The riparian environment of Cienega is reminiscent of that which existed in the Tucson area before 1900. 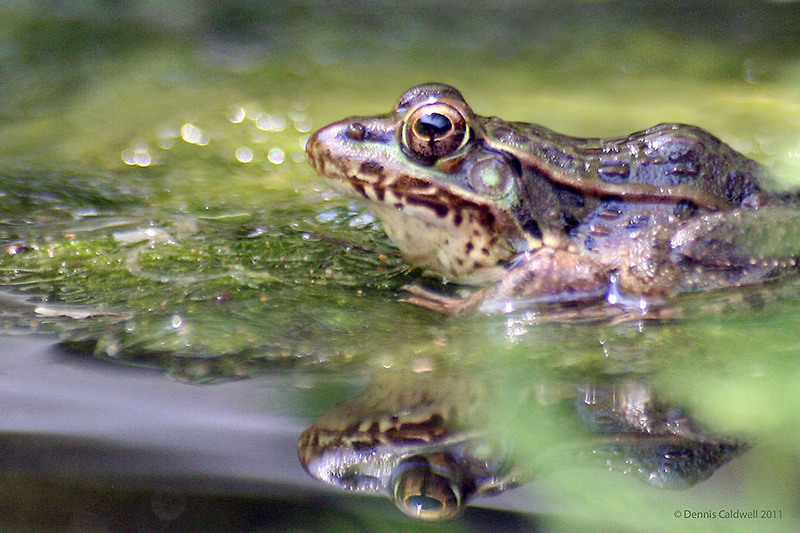 Cienega Creek is one of the few remaining streams in Arizona, providing critical habitat and wildlife corridors for wildlife, especially for threatened and endangered species like the Huachuca water umble plant and the Chiricahua leopard frog. Five of the rarest Southwest habitat types exist in the watershed: marshlands (cienegas), cotton-willow riparian forests, sacaton grasslands, mesquite bosques, and semi-desert grasslands. The cotton-willow gallery forest and mesquite bosque are home to bird species that have become rare through loss of riparian habitats, including the Southwestern willow flycatcher, yellow-billed cuckoo, Bell’s vireo, and a great diversity of others. Important lowland populations of riparian and xeroriparian amphibians and reptiles include several toads, the checkered garter snake, the Madrean alligator lizard, and the giant spotted whiptail lizard. The Mexican garter snake, which has declined throughout its range in the United States, retains a strong population in Cienega Creek. In the grassland uplands above the creek, wildlife corridors allow a diversity of species to safely move between protected areas and between the sky island mountain ranges. Healthy populations of large mammals such as pronghorn antelope, mountain lion, black bear, and Mexican jaguar cannot exist without these wildlife corridors. While not completely inventoried, the watershed contains thousands of archaeological sites which are evidence for human occupation for almost 11,000 years. Several Native American communities are known to have utilized the area including the Sobaipuri, Apache, and Pima (Tohono O’odham). In the 1800s ranching and mining activities, old trails and water features, and homesteads and communities left their marks on the landscape. 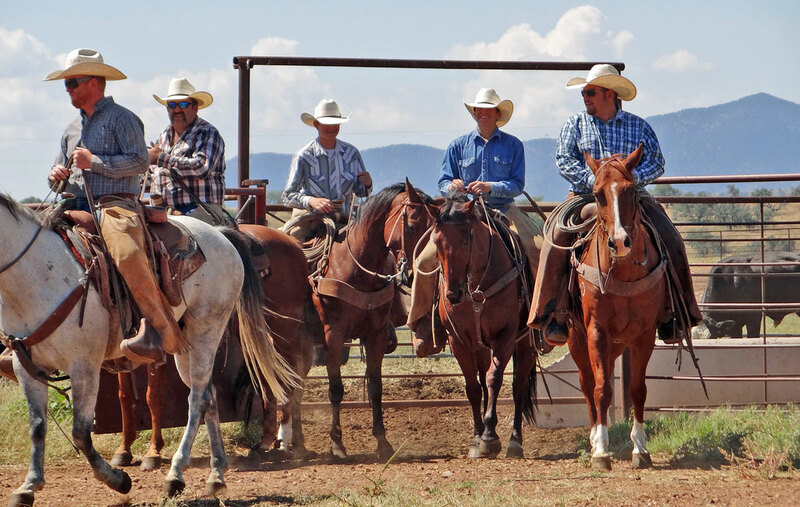 Ranches continue to function as an important economic activity. Today several historic sites are interpreted and open for visitation including the Empire Ranch Headquarters managed by the Bureau of Land Management and Kentucky Camp in Coronado National Forest. Efforts to preserve this rich cultural history include collecting and disseminating oral histories and an interactive timeline that captures and references over 700 events in watershed history. Lands within the watershed include federal, state, county, and private. Over 45,000 acres along the Cienega Creek and its uplands were designated by Congress in 2000 as the Las Cienegas National Conservation Area (managed by the Bureau of Land Management) and the Cienega Creek Natural Preserve (Pima County). These managing agencies, private landowners, and stakeholders (recreationalists, scientists, students, and interested individuals) engage through various opportunities to resolve issues and practice collaborative, science-based, adaptive management. View cultural history and geography resources for Las Cienegas National Conservation Area. Photo © by Michael McNulty / photos.mcnulty.net. These highly diverse and valuable lands are under stress. The watershed is experiencing threats from invasive species, disruptions of water flow from drought and diversions, insufficiently mitigated developments, and climate change. Recreational growth as well as consumptive uses are additional impacts. Cienega Watershed is experiencing a proliferation of non-native and invasive species, resulting in a trend towards loss of diversity and thus loss of adaptability and resilience. 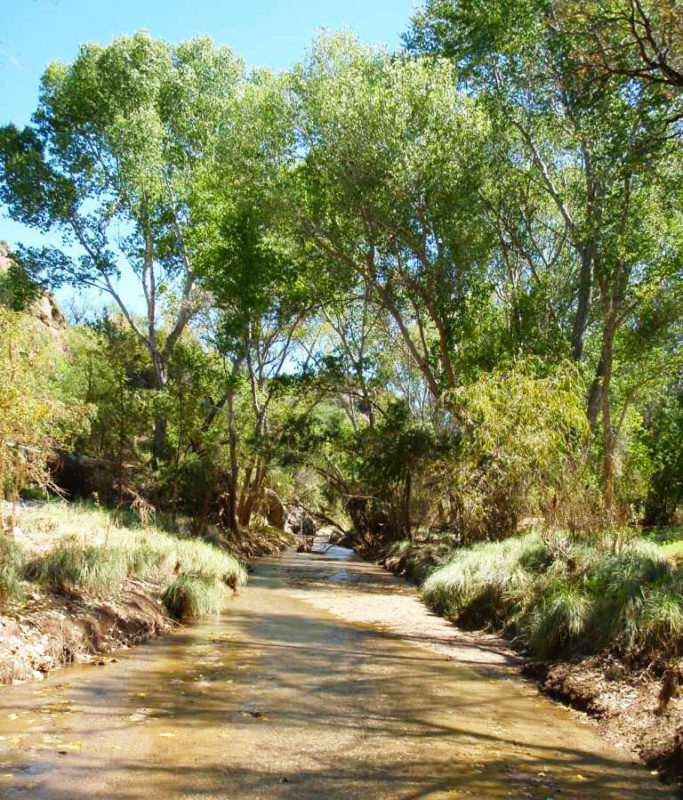 Cienega Creek is one of the few remaining streams in Southern Arizona that has not been invaded by non-native fish. It supports the largest natural population of the federally endangered Gila topminnow in the United States, as well as a longfin dace. To combat these threats, important conservation efforts and restoration projects as well as monitoring critical elements like stream flow and critical habitats are partnership programs which are having a positive or slowing impact. In 2010, CWP and its partners recognized that sustaining the area requires connecting newer residents and youth to this landscape. The newest programs in the watershed involve youth in heritage, conservation, education, and restoration efforts. View our brochure on visiting the upper and lower Cienega Watershed. Learn about visiting Las Cienegas National Conservation Area. For additional information, or to get involved, please contact us, or donate now.